India's No. 1 comedy genre Tv channel Sab tv is again ready to Launch his new show soon. The show will be a comedy show which include family drama. 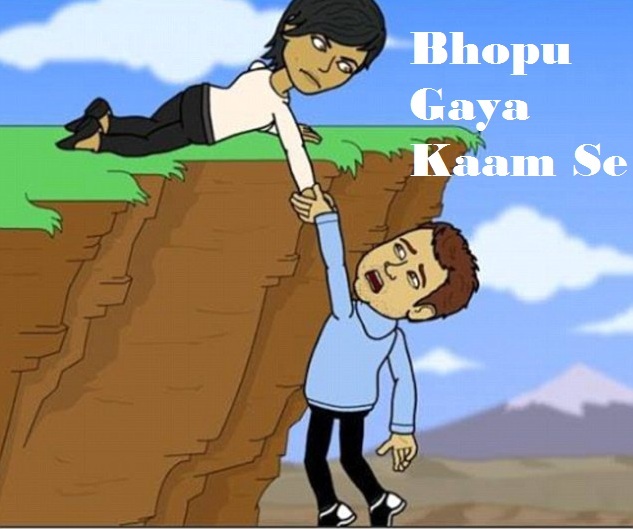 New show title has been revealed by Sab Tv .The new show is tentatively titled as Bhopu Gaya Kaam Se .Sab Tv already running some outstanding shows like Tarak Mehta Ka Oolta Chasma, Badi Dur Se Aaaye Hai, Woh Teri Bhabhi Hai Pagle and Chidiyaghar. New show is produced by Chhota Ganpati Productions house which is popular for his tv show "Do Saheliya". Sab Tv has not yet released any promo of the show . The story of the new show revolves around a character named Bhopu .Bhopu is young boy who always helps others but every time he stuck into problems. He faces these problems and face all hurdles in his way.It is family drama with comedy punch. Sab Tv is already the best comedy channel . Hope the new show will get huge success. Star cast for the show is still in progress. But according to a telly buzz Actor Jay Soni will be seen as a lead role in this new show.This actor was last seen in Ba Bahu or Baby and Sanskar shows. He was hosted comedy superstars show on Sab Tv. Pankit Thakkar who was last seen in Dil Mil Gaye and currently working in Hamari Bahu Rajni Kant also roped in for this show.He will be seen in pivotal role. Sab Tv has approached to Pooja Pihal to rope her in the show .She might be seen opposite to Jay Soni . She was last seen in Hum Apke Hai In Laws on Sab Tv . Now you can see this hot actress again in the show. Promo of the Show is not officially Released by Sab Tv .When the Promo of the Show is Available we will update it here ...........so Stay tuned with us for the Promo of the Show. Show suiting is not started yet . As soon as the suiting of the show is started sab tv will announce the launch date of the show. But show might be live in the upcoming month of April,2016.